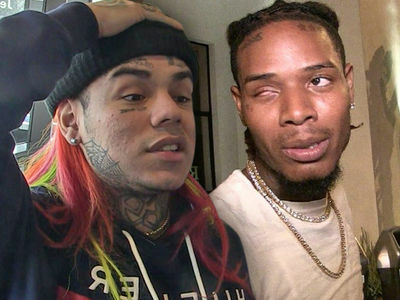 Tekashi69 is distancing himself from any involvement in the attempted shooting of Chief Keef, and says Keef's got no one to blame ... but himself. The Brooklyn rapper told us Wednesday, on "TMZ Live," Keef's a gangsta rapper who promotes violence ... and claimed that's the real reason he's getting heat on the streets. As we reported, shots were fired at Keef last weekend in NYC, but missed. 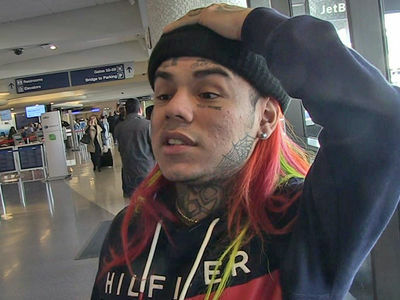 6ix9ine insists the violence isn't coming from him ... and claims he's never even shot a gun. But, you've gotta see his reaction to all the violence around him lately. Tekashi says it's just part of life for rappers, and ditto for fans. And then -- because the Keef beef isn't enough -- he hurled a shot at J. Cole and his fans!